Before he won professional and college championships, Michael Jordan was building his game on the high school courts. 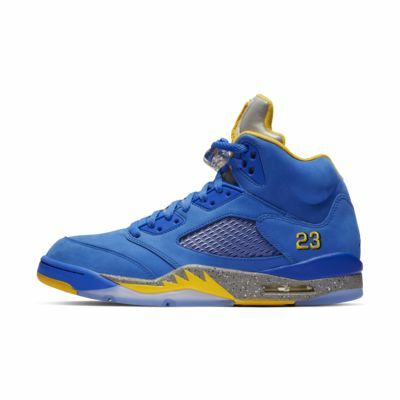 The Air Jordan 5 Laney JSP pays tribute to Jordan&apos;s high school playing days on an iconic silhouette he debuted years later. Visible Air-Sole unit in the heel and encapsulated Air-Sole unit in the forefoot deliver responsive cushioning. Comfortable. Colors stand out! Retro 5s are my new favorite! Shoe speaks for itself! 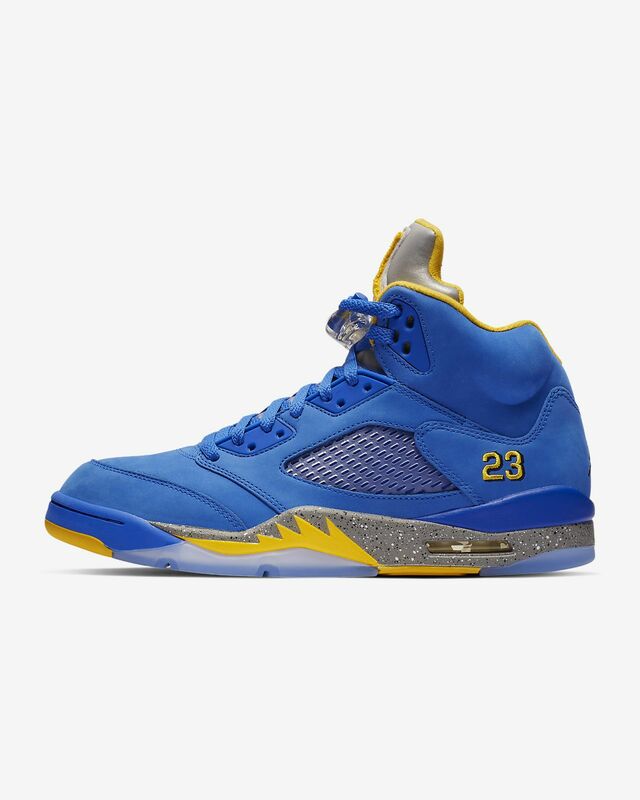 Great fit, love the colorway, and I have the blue and black pair!